The president has executed a subtle geopolitical strategy with the potential to extend American empire well into the 21st century. In ways that have eluded Washington pundits and policymakers, President Barack Obama is deploying a subtle geopolitical strategy that, if successful, might give Washington a fighting chance to extend its global hegemony deep into the 21st century. After six years of silent, sometimes secret preparations, the Obama White House has recently unveiled some bold diplomatic initiatives whose sum is nothing less than a tricontinental strategy to check Beijing’s rise. As these moves unfold, Obama is revealing himself as one of those rare grandmasters who appear every generation or two with an ability to go beyond mere foreign policy and play that ruthless global game called geopolitics. But let’s give credit where it’s due. Without proclaiming a presumptuously labeled policy such as “triangulation,” “the Nixon Doctrine,” or even a “freedom agenda,” Obama has moved step by step to repair the damage caused by a plethora of Washington foreign policy debacles, old and new, and then maneuvered deftly to rebuild America’s fading global influence. Viewed historically, Obama has set out to correct past foreign-policy excesses and disasters, largely the product of imperial overreach, that can be traced to several generations of American leaders bent on the exercise of unilateral power. Within the spectrum of American state power, he has slowly shifted from the coercion of war, occupation, torture, and other forms of unilateral military action toward the more cooperative realm of trade, diplomacy, and mutual security—all in search of a new version of American supremacy. Obama first had to deal with the disasters of the post-9/11 years. Looking through history’s rearview mirror, Bush-Cheney Republicans imagined the Middle East was the on-ramp to greater world power and burned up at least two trillion dollars and much of US prestige in a misbegotten attempt to make that illusion a reality. Since the first day of his presidency, Obama has been trying to pull back from or ameliorate the resulting Bush-made miasmas in Afghanistan and Iraq (though with only modest success), while resisting constant Republican pressures to reengage fully in the permanent, pointless Middle Eastern war that they consider their own. Instead of Bush’s endless occupations with 170,000 troops in Iraq and 101,000 in Afghanistan, Obama’s military has adopted a more mobile Middle Eastern footprint of advisers, air strikes, drones, and special operations squads. On other matters, however, Obama has acted far more boldly. Obama’s diplomats have, for instance, pursued reconciliation with three “rogue” states—Burma, Iran, and Cuba—whose seemingly implacable opposition to the United States sprang from some of the most disastrous CIA covert interventions of the Cold War. In 1951, as that “war” gripped the globe, Democratic President Harry Truman ordered the CIA to arm some 12,000 Nationalist Chinese soldiers who had been driven out of their country by communist forces and had taken refuge in northern Burma. The result: three disastrous attempts to invade their former homeland. After being slapped back across the border by mere provincial militia, the Nationalist troops, again with covert CIA support, occupied Burma’s northeast, prompting Rangoon to lodge a formal complaint at the UN and the US ambassador to Burma to resign in protest. Not only was this operation one of the great disasters in a tangled history of such CIA interventions, forcing a major shake-up inside the Agency, but it also produced a lasting breach in bilateral relations with Burma, contributing to that country’s sense of isolation from the international community. Even at the Cold War’s close 40 years later, Burma’s military junta persisted in its international isolation while retaining a close dependency relationship with China, thereby giving Beijing a special claim to its rich resources and strategic access to the Indian Ocean. Washington’s Cold War blunders were genuinely bipartisan. Following Truman and drawing on his own experience as Allied commander for Europe during World War II, Republican President Dwight Eisenhower proceeded to wage the Cold War from the White House with the National Security Council as his staff and the CIA as his secret army. Among the 170 CIA covert operations in 48 countries that Eisenhower authorized, two must rank as major debacles, inflicting especially lasting damage on America’s global standing. In 1953, after Iran’s populist Prime Minister Mohammad Mossadeq challenged Britain’s imperial monopoly over his country’s oil industry, Eisenhower authorized a covert regime change operation to be engineered by the CIA and British intelligence. Though the Agency came perilously close to failure, it did finally succeed in installing the young, untested Shah in power and then helped him consolidate his autocratic rule by training a secret police, the notorious Savak, in torture and surveillance. While Washingtonians toasted the delicious brilliance of this secret-agent-style derring-do, Iranians seethed until 1979 when demonstrators ousted the Shah and students stormed the US embassy, producing a 35-year breach in relations that weakened Washington’s position in the Middle East. During his last months in office in 1960, President Eisenhower also infamously authorized a CIA invasion of Cuba, confident that 1,000 ragtag Cuban exiles backed by US airpower could somehow overthrow Fidel Castro’s entrenched revolutionary regime. Inheriting this operation and sensing disaster, President John F. Kennedy forced the CIA to scale back its plans without stopping the Agency from proceeding. So it dumped those exiles on a remote beach 50 impassable miles of trackless, tangled swamp from their planned mountain refuge and sat back as Castro’s air force bombed them into surrender. For the next 40 years, the resulting rupture in diplomatic relations and the US embargo of Cuba weakened Washington’s position in the Cold War, the Caribbean, and even southern Africa. After decades of diplomatic isolation and economic embargo failed to change the communist regime, President Obama initiated a thaw in relations, culminating in the July 2015 reopening of the US embassy in Havana, closed for nearly 55 years. Moving from repair to revival, from past to future, President Obama has been using America’s status as the planet’s number one consumer nation to create a new version of dollar diplomacy. His strategy is aimed at drawing China’s Eurasian trading partners back into Washington’s orbit. While Beijing has been moving to bring parts of Africa, Asia, and Europe into a unified “world island” with China at its epicenter, Obama has countered with a bold geopolitics that would trisect that vast land mass by redirecting its trade towards the United States. During the post-9/11 decade when Washington was spilling its blood and treasure onto desert sands, Beijing was investing its trillions of dollars of surplus from trade with the United States in plans for the economic integration of the vast Eurasian land mass. In the process, it has already built or is building an elaborate infrastructure of high-speed, high-volume railroads and oil and natural gas pipelines across the vast breadth of what Sir Halford Mackinder once dubbed the “world island.” Speaking of pivots to Asia and elsewhere, in a 1904 scholarly essay titled “The Geographical Pivot of History,” this renowned British geographer, who started the study of geopolitics, redrew the world map, reconceptualizing Africa, Asia, and Europe not as three separate continents, but as a vast single land mass whose sheer size could, if somehow integrated, make it the epicenter of global power. In a bid to realize Mackinder’s vision a century later, China has set out to unify Eurasia economically through massive construction financed by loans, foreign aid, and a new Asian Infrastructure Investment Bank that has already attracted 57 members, including some of Washington’s staunchest allies. With $4 trillion in hard-currency reserves, China has invested $630 billion of it overseas in the last decade, mostly within this tricontinental world island. As an index of influence, China now accounts for 79 percent of all foreign investment in Afghanistan, 70% in Sierra Leone, and 83 percent in Zimbabwe. With a massive infusion of investment that will reach a trillion dollars by 2025, China has managed to double its annual trade with Africa over the past four years to $222 billion, three times America’s $73 billion. Beijing is also mobilizing military forces potentially capable of surgically slicing through the arc of bases, naval armadas, and military alliances with which Washington has ringed the world island from England to Japan since 1945. In recent months, however, Obama has unleashed a countervailing strategy, seeking to split the world island economically along its continental divide at the Ural Mountains through two trade agreements that aim to capture nothing less than “the central global pole position” for “almost two-thirds of world GDP [gross domestic product] and nearly three-quarters of world trade.” With the impending approval of the Trans-Pacific Partnership (TPP), Washington hopes to redirect much of the vast trade in the Asian half of Eurasia toward North America. Should another set of parallel negotiations prove successful by their target date of 2016, Washington will reorient the European Union’s portion of Eurasia, which still has the world’s largest single economy and another 16 percent of world trade, toward the United States through the Transatlantic Trade and Investment Partnership (TTIP). When grandmasters play the great game of geopolitics, there is, almost axiomatically, a certain sangfroid to their moves, an indifference to any resulting collateral damage at home or abroad. These two treaties, so central to Obama’s geopolitical strategy, will bring in their wake both diplomatic gains and high social costs. Think of it in blunt terms as the choice between maintaining the empire abroad and sustaining democracy at home. In his six years in office, Obama has invested diplomatic and political capital in advancing the Trans-Pacific Partnership, a prospective treaty that carefully excludes China from membership in an apparent bid to split its would-be world island right down its Pacific littoral. Surpassing any other economic alliance except the European Union, this treaty will bind the United States and 11 nations around the Pacific basin, including Australia, Canada, Chile, Japan, Malaysia, Mexico, and Vietnam, that represent $28 trillion in combined GDP or 40 percent of gross world product and a third of all global trade. By sweeping up areas like agriculture, data flows, and service industries, this treaty aspires to a Pacific economic integration unparalleled in any existing trade pact. In the process, it would draw these highly productive nations away from China and into America’s orbit. Not surprisingly, Obama has faced ferocious opposition within his own party from Senator Elizabeth Warren and others who are sharply critical of the highly secretive nature of the negotiations for the pact and the way it is likely to degrade labor and environmental laws in the United States. So scathing was this critique that, in June 2015, he needed Republican votes to win Senate approval for “fast track” authority to complete the final round of negotiations in coming months. To pull at the western axis of China’s would-be world island, Obama is also aggressively pursuing negotiations for the TTIP with the European Union and its $18 trillion economy. The treaty seeks fuller economic integration between Europe and America by meshing government regulations on matters such as auto safety in ways that might add some $270 billion to their annual trade. By transferring control over consumer safety, the environment, and labor from democratic states to closed, pro-business arbitration tribunals, argues a coalition of 170 European civil society groups, the TTIP, like its Pacific counterpart, will exact a high social cost from participating countries. While the European Union’s labyrinthine layers of bureaucracy and the complexity of relations among its sovereign states make completion of negotiations within the year unlikely, the TTIP treaty, propelled by Obama’s singular determination, is moving at light speed compared to the laggard Doha round of World Trade Organization negotiations, now in year 12 of inconclusive talks with no end in sight. Once we subject other American leaders to a similar calculus of costs and benefits, we are, surprisingly enough, left with just three grandmasters of geopolitics: Elihu Root, the original architect of America’s rise to global power; Zbigniew Brzezinski, national security adviser to President Carter, who shattered the Soviet Empire, making the United States the world’s sole superpower; and Barack Obama, who is defending that status and offering a striking imperial blueprint for how to check China’s rise. In each case, their maneuvers have been supple and subtle enough that they have eluded both contemporary observers and later historians. Many American presidents—think Theodore Roosevelt, Franklin D. Roosevelt, George H.W. Bush, and Bill Clinton—have been capable diplomats, skilled at negotiating treaties or persuading allies to do their bidding. But surprisingly few world leaders, American or otherwise, have a capacity for mastering both the temporal and spatial dimensions of global power—that is, the connections between present actions and often distant results as well as an intuitive ability to grasp the cultural, economic, and military forces whose sum is geopolitics. Mastering both of these skills involves seeing beneath the confusion of current events and understanding the deeper currents of historical change. Root and Brzezinski both had an ability to manipulate the present moment to advance long-term American interests while altering, often fundamentally, the future balance of global power. Though little noticed in the avalanche of criticism that has all but buried his accomplishments in the Oval Office, Obama seems to be following in their footsteps. All but forgotten today, Elihu Root was the true architect of America’s transformation from an insular continental nation into a major player on the world stage. About the time Sir Halford Mackinder was imagining his new model for studying global power, Root was building an institutional infrastructure at home and abroad for the actual exercise of that power. After a successful 30-year career as a corporate lawyer representing the richest of robber barons, the most venal of trusts, and even New York’s outrageously corrupt William “Boss” Tweed, Root devoted the rest of his long life to modernizing the American state as secretary of war, secretary of state, a senator, and finally a plenipotentiary extraordinaire. Not only did he shape the conduct of US foreign policy for the century to come, but he also played an outsized role, particularly for a cabinet secretary of a then-peripheral power, in influencing the character of an emerging international community. As a prominent attorney, Root understood that the Constitution’s protection of individual liberties and states’ rights had created an inherently weak federal bureaucracy, ill suited for the concerted projection of American imperial power beyond its borders. To transform this “patchwork” state and its divided society—still traumatized by the Civil War—into a world power, Root spent a quarter-century in the determined pursuit of three intertwined objectives: fashioning the fragmentary federal government into a potent apparatus for overseas expansion, building a consensus among the country’s elites for such an activist foreign policy, and creating new forms of global governance open to Washington’s influence. As secretary of war (1899–1904), Root reformed the Army’s antiquated structure, creating a centralized general staff, establishing a modern war college, and expanding professional training for officers. Through this transformation, the military moved far beyond its traditional mission of coastal defense and became an increasingly agile force for overseas expansion—in China, the Philippines, the Caribbean, Latin America, and, ultimately, Europe itself. With his eye firmly fixed on America’s ascent, Root also covered up atrocities that accompanied the army’s extraordinarily brutal pacification of the Philippines. As secretary of state (1907–09), senator (1909–15), and special envoy to Russia (1917), Root then led a sustained diplomatic effort to make the country, for the first time, a real presence in the community of nations. To insert Washington—until then at the periphery of a world politics still centered on Europe—in the game of global power projection, Secretary of State Root launched an unprecedented tour of Latin America in 1906, winning the continent’s support. With the backing of 17 Latin republics among the 44 nations present, Washington gained sufficient geopolitical clout at the Second Hague Peace Conference in 1907 to conclude the first broad international legal agreement on the laws of war. To house the Permanent Court of Arbitration, the world’s first ongoing institution for global governance, which emerged from the Hague peace conferences, Root’s friend Andrew Carnegie spent $1.5 million, a vast sum at the time, to build the lavish Peace Palace at The Hague in 1913. A year later, as chair of the Carnegie Endowment for International Peace (1910–25), Root helped establish The Hague Academy of International Law housed within that Peace Palace. Simultaneously, he cemented a close alliance with Britain by promoting treaties to resolve territorial disputes that had roiled relations with the world’s preeminent power for the better part of a century. That effort won him the Nobel Peace Prize in 1912. Even in retirement at age 75, Root served on a League of Nations committee that established the Permanent Court of International Justice, realizing his long-held vision of the international community as an assembly of sovereign states governed by the rule of law. Throughout these decades, Root was careful to cultivate support for an assertive foreign policy among the country’s ruling East Coast elites. As the culmination of this effort, in 1918 he led a group of financiers, industrialists, and corporate lawyers in establishing the Council on Foreign Relations in New York, which soon became the country’s most influential forum for shaping public consensus for an expansive foreign policy. He also cultivated academic specialists at leading universities nationwide, using their expertise to shape and support his foreign policy ideas. In sum, Root recast American society to forge a nexus of money, influence, and intellect that would sustain US foreign policy for the next century. By the time Barack Obama entered the Oval Office in 2009, there were already the first signs of a serious geopolitical challenge that only the president and his closest advisers seemed to recognize. In a speech to the Australian parliament in November 2011, Obama said: “Let there be no doubt: in the Asia-Pacific in the twenty-first century, the United States of America is all in.” After two long wars in Iraq and Afghanistan “that cost us dearly, in blood and treasure, “ he explained, “the United States is turning our attention to the vast potential of the Asia Pacific region,” which is “the world’s fastest-growing region—and home to more than half the global economy.” His initial deployment of just 2,500 US troops to Australia seemed a slender down payment on his “deliberate and strategic decision” to become America’s first “Pacific president,” producing a great deal of premature criticism and derision. 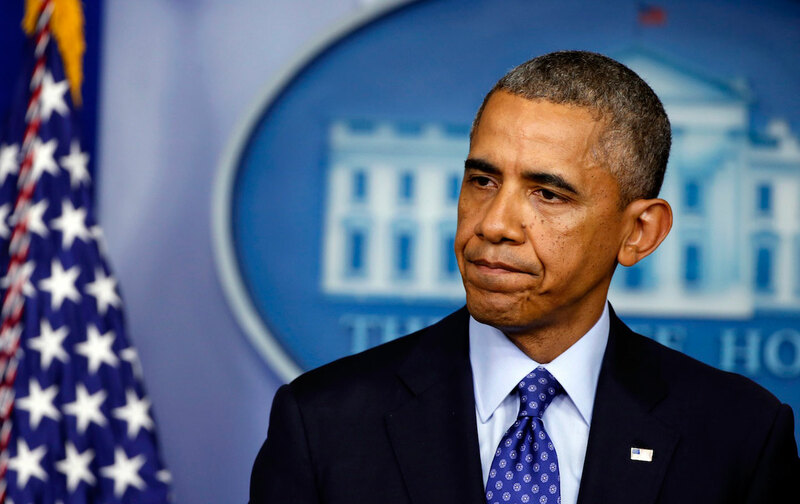 Four years later, one CNN commentator would still be calling this “Obama’s pivot to nowhere.” Even seasoned foreign policy commentator Fareed Zakaria would ask, in early 2015, “Whatever happened to the pivot to Asia?” Answering his own question, Zakaria argued that the president was still mired in the Middle East and the centerpiece of that pivot, the Trans-Pacific Partnership, seemed to be facing certain defeat in Congress. To the consternation of his critics, in the waning months of his presidency, from Iran to Cuba, from Burma to the Pacific Ocean, Obama has revealed himself as an American strategist potentially capable of laying the groundwork for the continued planetary dominion of the United States deep into the twenty-first century. In the last 16 months of his presidency, with a bit of grit and luck and a final diplomatic surge—concluding the nuclear treaty with Iran to prevent another debilitating Middle Eastern conflict, winning congressional approval of the Trans-Pacific Partnership, and completing negotiations for the Transatlantic Trade and Investment Partnership—Obama just might secure the United States a significant extension of its waning global hegemony. Specifics aside, the world’s two most powerful nations, China and the United States, seem to have developed conflicting geopolitical strategies to guide their struggle for global power. Whether Beijing will succeed in moving ever further toward unifying Asia, Africa, and Europe into that world island or Washington will persist with Obama’s strategy of splitting that land mass along its axial divisions via trans-oceanic trade won’t become clear for another decade or two. We still cannot say whether the outcome of this great game will be decided through an almost invisible commercial competition or a more violent drama akin to history’s last comparable imperial transition, the protracted rivalry between Napoleon’s “continental system” and Britain’s maritime strategy at the start of the 19th century. Nonetheless, we are starting to see the broad parameters of an epochal geopolitical contest likely to shape the world’s destiny in the coming decades of this still young 21st century.